At first glance, there may seem to be topsy-turvy energy afoot this week. If you lean in and navigate it, there is tremendous potential to help you significantly shift your ideas, plans and approaches. We’re talking leapfrogging current positions, previously undiscovered shortcuts and byways. So how to lean in and navigate what may feel topsy-turvy or disruptive at the onset? 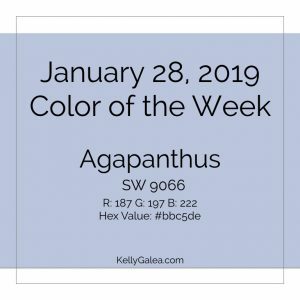 Use our color of the week, Agapanthus, to help shift your ideas, plans and approaches accordingly. Visualize the vibrant life you desire in each area of your Kaleidoscope. Spend a few minutes every morning visualizing. Affirm your openness to Ideal Solutions. Assimilate Divine and enlightened inspiration received directly from your guides or provided to you through others. By focusing on your “why” and the feelings your positive visualizations evoke, new Ideal Solutions will present themselves. Recommit to your most vibrant life. Adjust your plans or piece together new mini-plans that will help you combine your passions, purpose, talents and resources. Confidently realize fun and freeing focus!